I got myself the perfect Christmas present this year and I just have to show it off. Indulgence is sometimes a very good thing! I love mesh. I love what talented creators can do with it and I love what it means for those of us who can take advantage of their use of this technology. This holiday season I put myself on a list and gave Honour a new place to live. 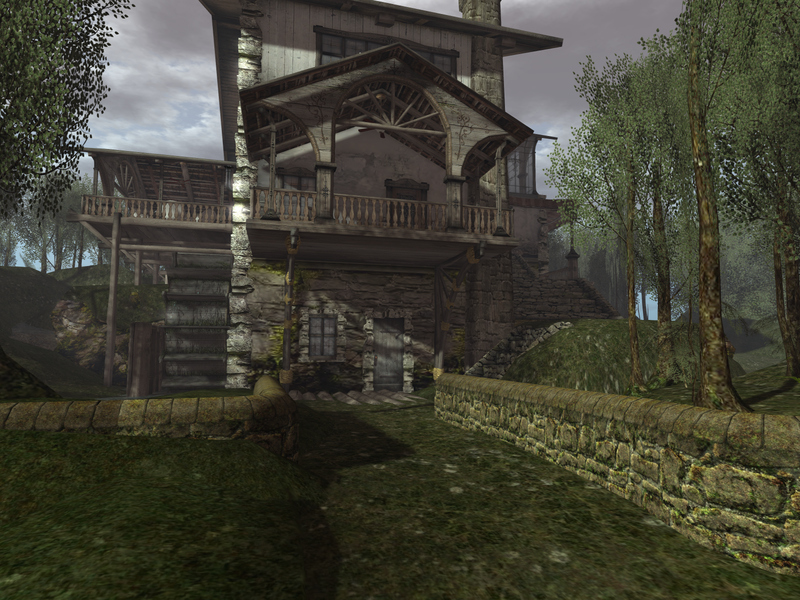 It was easy to find – I was working on an article about Jenne Dibou↑ for the latest issue of Prim Perfect↑ and saw her Watermill Home↑. I bought it immediately. 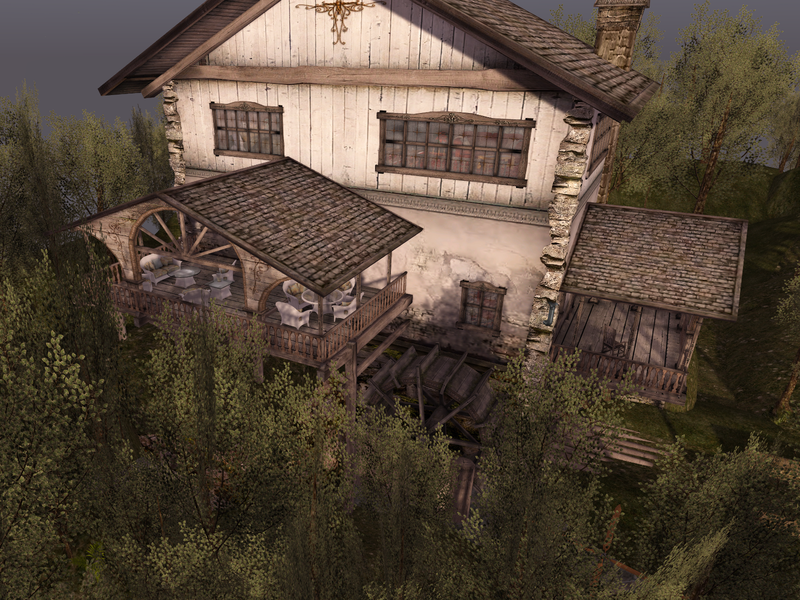 This house has 4 or 5 levels, depending on how you count them, a working watermill, workshop and wine cellar (although some might think that area looks like a perfect dungeon), and all of it rezzes as a single object with a Land Impact of 140. It’s extraordinary. She has used materials textures on some parts of the building, particularly the windows. I didn’t realize this until I put fixtures inside, but light reflects off the windows because of those textures. This is very cool! I had to landscape (of course) and indulged myself a lot more by getting mesh terrain, textures, trees, water, and rock walls from Alex Bader↑. This home is on the mainland but you’d never know it now. I could have made it winter, but I wanted to see what it looked like in a warmer season. It’ll change next year as the calendar progresses – those trees switch seasons very easily and his terrain textures will handle just about anything. I used mostly old items from my inventory to furnish the place – but I’m gradually swapping objects out with mesh replacements. It seems my nesting instinct is even stronger than my reluctance to buy things. 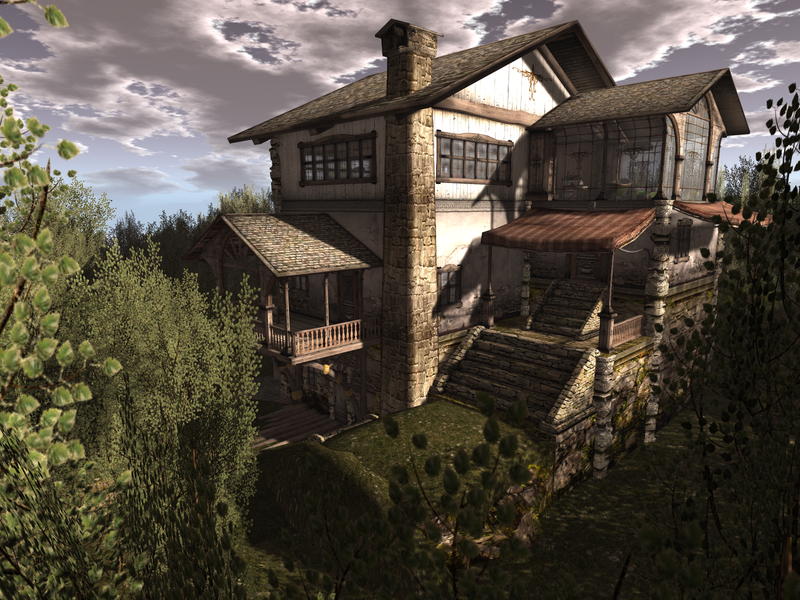 LOL it is fun nesting :) and that stuff from Alex Bader means you can make the land look like whatever you want. I’m sure there are other creators as well – these are just the selections I made. 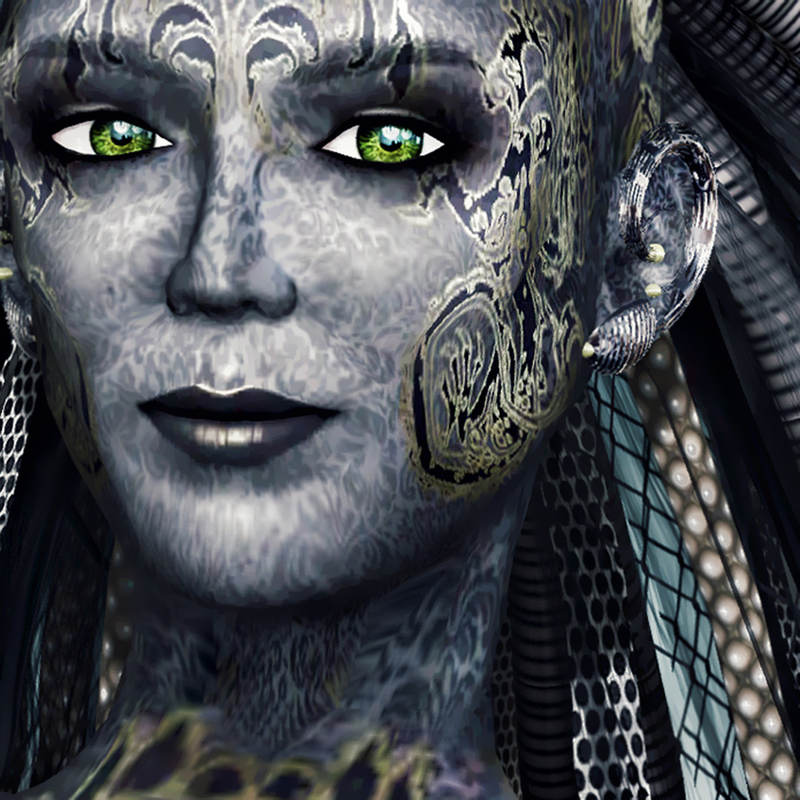 Mesh content is the recent LL innovation that has had the most impact on my SL! Along with convex hull it has opened a world of possibilities without ever really coming close to prim limits on my land (mainland too :) ). It seems every time I go shopping I find more elaborate objects for decorating often with a land impact of 1. Once you have the furniture where you want it, try linking it together wherever possible — that often halves the LI again! The down side is that people with marginal graphics cards seem to have problems with lag around my builds. Time will take care of that as the normal progression of equipment obsolescence moves on. 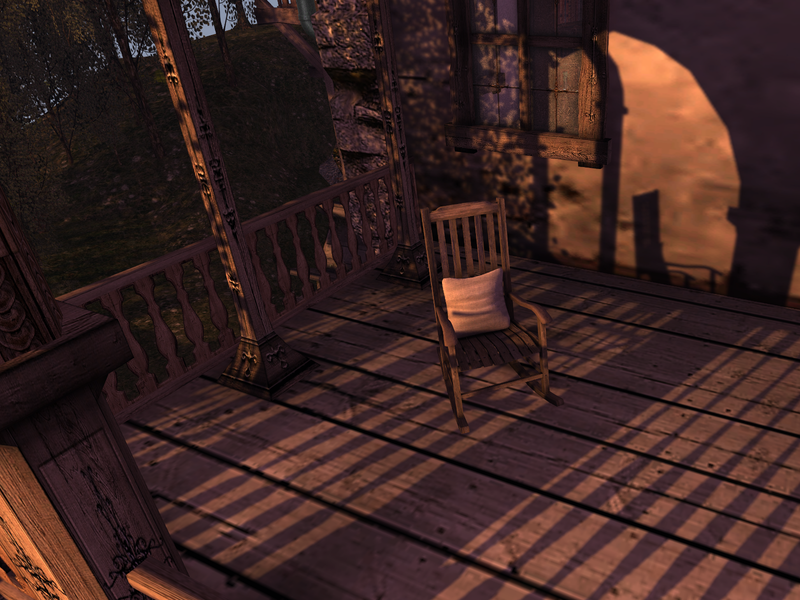 Thanks for the reminder on the furniture :) I have to do that with the trees and terrain as well. thank you :) and yes, Jenne has done a brilliant job! The house is great, really beautiful! I went looking at that house recently and almost bought it. But at their store you can’t walk into the basement as some invisible solid thing blocks you – was not sure if it was bad collisions on the house, or some of the sample things rezzed down there. They have another similar house that I wanted to compare with, but if the shop has demos, I couldn’t find them. Only the current item on display seems to be viewable. 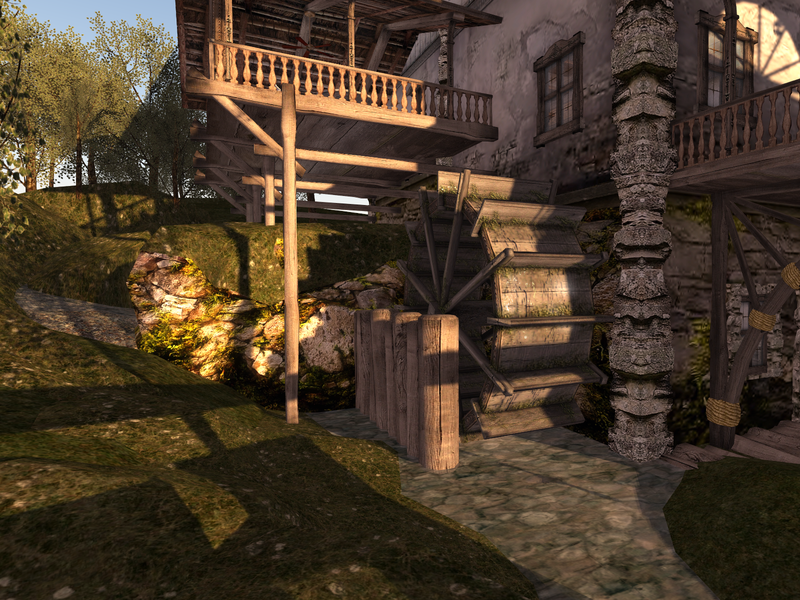 The other one is very similar in style – no waterwheel; it could be a neighboring house in a quaint rural village. Oh here’s a question – is there anything inside the house that would be ‘below water level’ if I put that thing on a plot such that the water wheel was sitting in ‘SL water’? not really know – there’s a slightly lower area in the workshop where the water will be visible but that’s deliberate. It’s actually a cool feature. I cammed all through down and saw tons of potential for things.